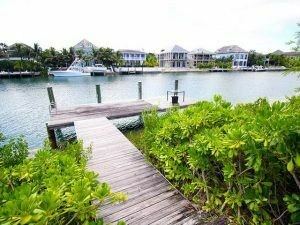 Charlotte House is located on lot #7 of Charlotte Island in the prestigious gated community of Old Fort Bay. Surrounded by lush tropical landscaping, the home offers a sense of tranquility and island living at its best. This spacious home is situated on a 21,514 sq. ft. lot and includes 4 bedrooms, each with ensuite bathroom, a powder room, large combined living and dining room, kitchen with wood block countertops, a breakfast nook, and a laundry room. There is also a double carport with storage area. Added amenities include a private dock and an outdoor pool great for weekend barbecues and relaxation with family and friends. For more details and to view the photo gallery, please visit the Charlotte House listing page.